Sunday Links: Richard Pryor Plus The MBIP Coming Attractions! Richard Pryor is one of Peoria’s most famous hometown heroes and so today I’ve chosen a half a dozen links to online stories and photos of Peoria’s original bad boy and a link to my favorite stand-up bit of his. And then there’s the MBIP Coming Attractions for next week! So there! Richard Pryor’s Peoria - This is billed as a digital companion to the biography Becoming Richard Pryor and there’s all kinds of Peoria-related stories, influential Peoria people in his life and stories from different eras about Pryor growing up in Peoria. Long-awaited Richard Pryor statue unveiled in Peoria - In May of 2015 a statue sculpted by Preston Jackson was put up in downtown Peoria and this is the PJ Star article about that day. 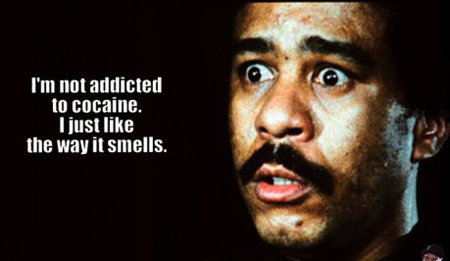 8 Fascinating Facts About Richard Pryor - I knew all of these except for the SNL factoid. Richard Pryor, Iconoclastic Comedian, Dies at 65 - His 2015 obituary in the NY Times. Mafia Club - This is my favorite stand-up routine of his! Tomorrow we have a special wedding post for the MBIP Saturday night feature. Two of my best friends, Jeff and Chris Stokowski’s son Pat was married to Val in a wonderful wedding ceremony and then a fun reception followed at The Peoria Gateway Building. I saw lots of friends from the past and got to witness this bizarre eating of the hands ritual that young people now do to each other after they’re wed. I tell ya, these kooky kids these days! Tuesday we continue the 13 month chicken eating tour and I went with my friends Amber and Joe to the Lariat Steakhouse for yet another three course chicken dinner! Wednesday I’m going to be showing Farmer Ted’s Lego Land which you have to see to believe! Thursday is going to be an entry in our Places In Peoria series and this week’s place is The Greg and Dan Show Radio Cave because I’m going to be a guest on their show this Tuesday sometime around 8:40 AM, so I’ll be taking photos of the cave that they broadcast the show from and posting them on Thursday. Friday I’ll be doing a post from a show at Industry Brewing Co. that’s happening this Thursday night. It’s a show starring Peoria’s very own Hypnohumorist, Terry Grawey and magician Phil Raso. It’s a free show, so you should come out and enjoy the fun, here’s the details regarding the show! Saturday will be another Marty Monologues update and then we’ll be back to Sunday. Time flies when you’re updating a blog! Have a wonderful and funderful Sunday and we’ll see you all tomorrow! Related Posts: Sunday Links: Meatballs, Joan Jett and “Hey Jude."